Yeah, it’s been a while since I blogged. Here’s a cat photo. 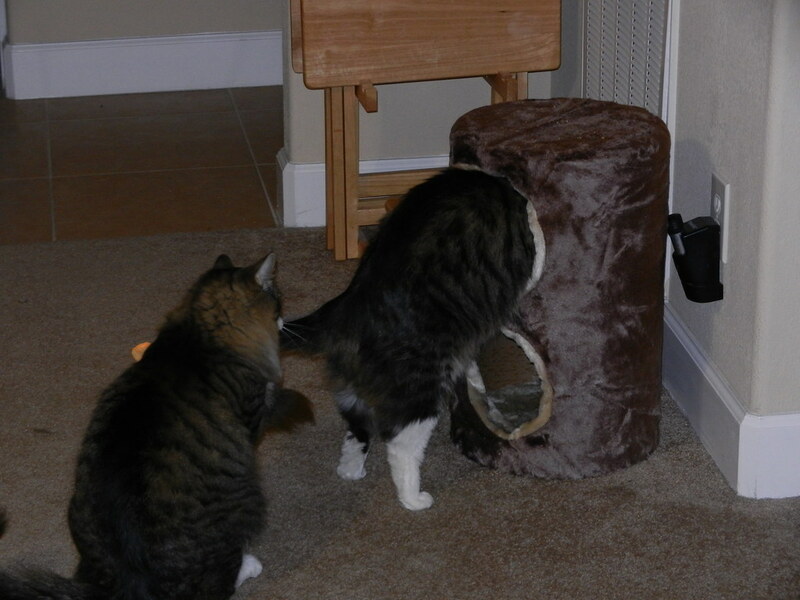 My cats might be too large for this thing I just bought for them. This does deserve a caption. This entry was posted on Friday, March 2nd, 2012 at 10:59 am and is filed under Main. You can follow any responses to this entry through the RSS 2.0 feed. Both comments and pings are currently closed.